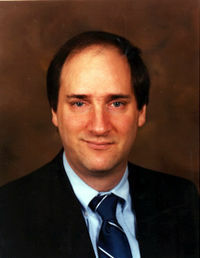 Dr. Michael E. Brown is the director and principal researcher of the Molecular History Research Center. He graduated with a Ph.D. in biology with an emphasis in molecular biology from Loma Linda University in 1987. While at Loma Linda University, he received three awards: the first for meritorious research from the Western Student Medical Research Forum of the American Federation for Medical Research and the last awards, both the Edmund C. Jaeger Award, were given for indicating potential in contributing to the field of biology. Dr. Brown has taught college courses in Biochemistry and Biology at Antillian Adventist University in Puerto Rico and Walla Walla University in College Place, Washington. This page was last modified on 17 July 2011, at 00:09.